Gerber Technology’s ideation2015 will pay homage to the classic fashion of The Darnell Collection, a famous vintage garment compilation, as it inspires fashion design students through a competition that highlights the key role of technology in design. ideation2015, the premier software conference for the fashion, apparel, accessories and footwear industries, will be presented at Caesars Palace in Las Vegas on October 29-30 by Gerber Technology, the world leader in integrated software and automation solutions for the apparel and industrial markets. 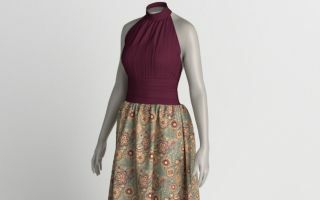 ideation2015’s design competition for students pursuing a degree in fashion design will use vintage dresses from The Darnell Collection as inspiration. The Darnell Collection is one of the largest private fashion collections of its type in existence today, containing over 8,000 pieces from 32 different countries. The Collection includes garments from many of the leading designers in fashion history. “Our mission is to preserve, develop and enhance the collection’s ability to educate, interpret and inspire existing and new audiences for the better understanding and appreciation of the art of fashion,” said Charlotte Smith, owner of the Collection. One finalist design for each of the five decades will be chosen from among the student entries. Those designs will be unveiled in a fashion show hosted by Smith, and several will be recreated in AccuMark® 3D. “What better way to demonstrate how technology can help bring products to market quickly, and to nurture and showcase design leaders of the future, than through a fashion competition that celebrates one of the largest private vintage clothing collections in the world,” Elia said. In addition, Tim Gunn, Emmy-winning co-host and mentor for Lifetime’s Project Runway, will present the keynote at ideation2015, and will be present for the fashion show. Gunn has lectured widely on fashion and lifestyle design, and on his role as member of the administration and faculty at Parsons School of Design. With the theme, “Everything has changed. But one thing hasn’t,” ideation2015 will highlight the technology and new developments that have dramatically changed the fashion industry. For more information or to register for the conference, which is October 29 and 30 at Caesars Palace, Las Vegas, visit www.gerbertechnology.com/ideation/. 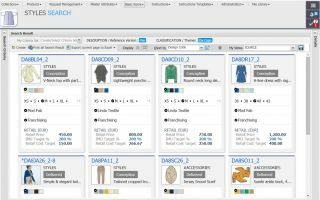 Gerber Technology delivers industry-leading software and automation solutions that help apparel and industrial customers improve their manufacturing and design processes and more effectively manage and connect the supply chain, from product development and production to retail and the end customer. Gerber serves 17,000 customers in 130 countries, including more than 100 Fortune 500 companies, in the aerospace, apparel, fashion, composites, packaging, furniture, technical textiles and transportation interiors industries. The company develops and manufactures its products from various locations in the United States and Canada and has additional manufacturing capabilities in China. 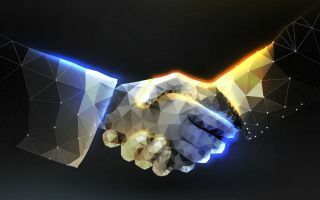 Based in Connecticut in the USA, Gerber Technology is owned by Vector Capital, a San Francisco-based, global private equity firm specializing in the technology sector and managing more than $2 billion of equity capital.